Two Nigerian teachers have been nominated for the 2018 global teacher prize. Ayodele Odeogbola teaches at Abeokuta Grammar School, Ogun state while Itodo Anthony works at Gateway Excel College Otukpa, Benue state. The prize, put together by Varkey Foundation, comes with a monetary award of $1 million. 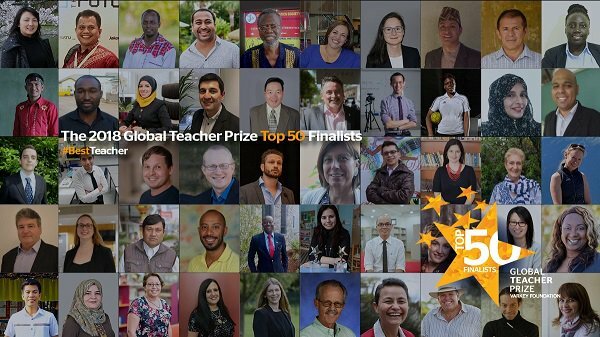 Both are among the 50 shortlisted teachers from across the world. Conceived in 2013, the prize was set up “to recognize one exceptional teacher who has made an outstanding contribution to the profession as well as to shine a spotlight on the important role teachers play in society”. Varkey Foundation will announce the winner at the Global Education and Skills Forum in Dubai on March 18, 2018.